The figures have changed since the last update due to the change in the methodology that URA uses to calculate the PPI. Most significantly, they have re-based the index to 2009 from 1998. For congruence, I have recalculated the PPI figures back to 1Q 2012. They have also stopped issuing figures for different sub-categories of housing. As you can see, up to June 2015, the index has fallen a MASSIVE 2% from our base period 1Q12. Hardly the 30 – 50% fall that was envisioned by the forumer. Unless something drastic happens in the next 6 months, my crystal ball prediction is looking pretty safe. Yay! Join me again early next year for my victory lap! Centauri78 is not a licensed financial advisor. The information contained here is purely personal opinion, and whilst I make every attempt to ensure the accuracy and reliability of the information, this information should not be relied upon as a substitute for formal advice or as basis for investment. I imagine that in every tenant’s mind, there comes a time when they will question whether it is better to continue renting or to buy a home. After all, rent paid is basically water under the bridge, lost forever. If they were going to pay anyway, wouldn’t it be better to pay your own mortgage and build equity? Just about everywhere, home ownership is the cornerstone of the [insert country name here] Dream. Our readers have spoken, and so, as promised, I have started the 2nd instalment of the heat map. Check it out under its own page here. 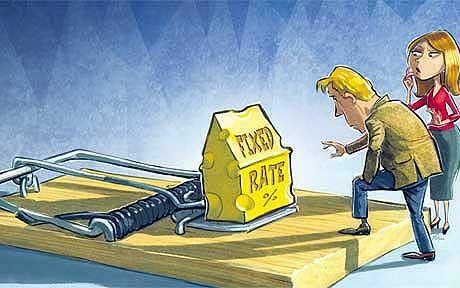 Interest rate watch: When to fix your mortgage rates? With interest rates staying at all-time lows, mortgage loans have been so affordable that the government has almost been forced to throw measure after measure at the property market to cool demand. However, conventional wisdom tells us that this abnormally protracted period of low interest rates cannot last, and that interest rates should revert to its long-term mean of about 2 – 2.5% pa, or implied mortgage rates of around 3.5% pa vs current mortgage rates of around 1.1% pa. It doesn’t really sound like much until you actually calculate your monthly payments in dollar terms. For every $1 million of loan of 30-year tenure, the monthly payment is going to increase from $3,263 to $4,490, a whopping 38% increase! Now that the government has clamped down on buying and selling of property, perhaps it is time to look at other ways you can invest in property. One of these ways is to buy shares of companies that deal with property, whether as developer, contractor or owner-manager. Some such counters are Capitaland (developer), Ho Bee (developer), Wee Hur (developer, contractor), Suntec REIT (owner-manager).